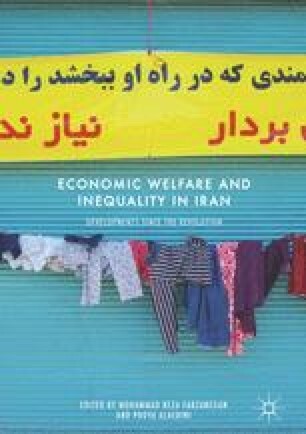 In this chapter, I investigate the moderating influence of political institutions on the income inequality effect of oil rents in Iran. At least since the first oil shock in 1973, economic performance in Iran has been under the heavy influence of oil exports and direct government expenditures derived from oil revenues. Indeed, a rentier state argument has been advanced to describe Iran’s political economy (see Mahdavy 1970: 466). Oil exports gave impetus to rapid economic growth in the 1960s and the earlier part of the 1970s, but they may have also facilitated the unfolding of revolutionary events in 1979. Furthermore, by all accounts, Iran’s economy has underperformed in terms of per capita GDP growth since the Revolution. These observations may thus support the hypothesis that natural resources have been more of a curse than a blessing for Iran.